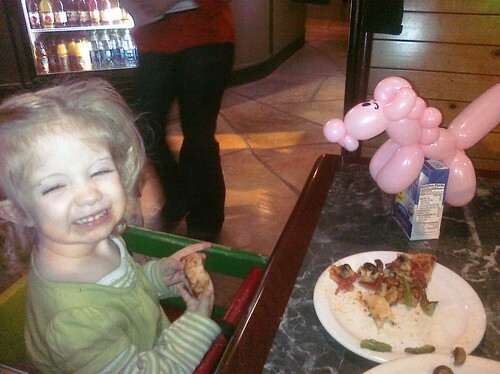 A very successful night out. 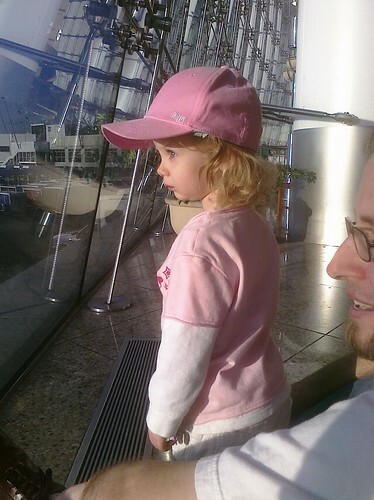 We watched planes take off taxi. I’m going to miss my girls. 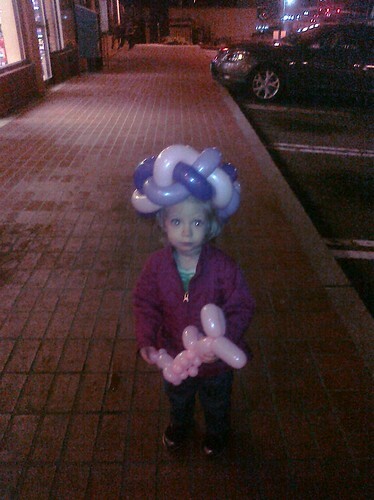 Nora didn’t want to leave. 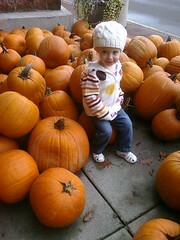 She spend almost a 1/2 hour walking amongst the pumpkins sitting on and touching them. Some will be surprised that getting a palm prē is what pushed me into starting a blog. 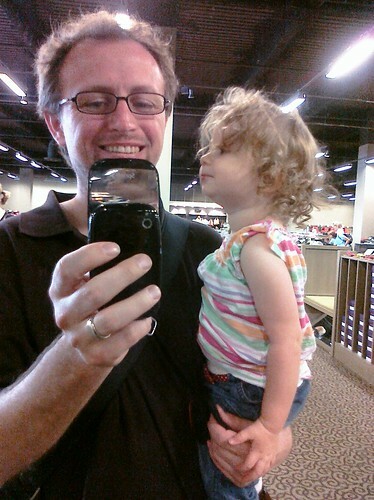 It would have made more sense to start this thing when Nora was born (photo stream). However, I didn’t think the possible audience was large enough to justify a blog solely dedicated to her, and I wasn’t sure from a privacy point of view I wanted to blog about her. She is THE MOST FABULOUS little girl in the world, but it’s mostly family that will want updates about her. As for the prē, I did get one. I was 3rd in line at my local store, and so that you know what to expect in future posts here is a little backstory; I like Palm, I still have a Vx and a Centro in the house. I like the prē so far, it does some cool things and it feels like a great platform, but it needs more to be a smash it. In general I’d classify myself as a power user of technology. I usually root for the underdog as I think competition is a powerful driving force for innovation. Here is one of the first pictures I snapped with my new phone. Here is what I wrote on a pure html page last week just before launch. In summary I don’t think Sprint did a great job with the launch. In hindsight maybe they did the best they could with limited supplies.